The Cambro 4SFSPP190 CamSquare® food container's translucent material allows visibility into the container. Green graduation marks are printed on the exterior for simple inventory checks. 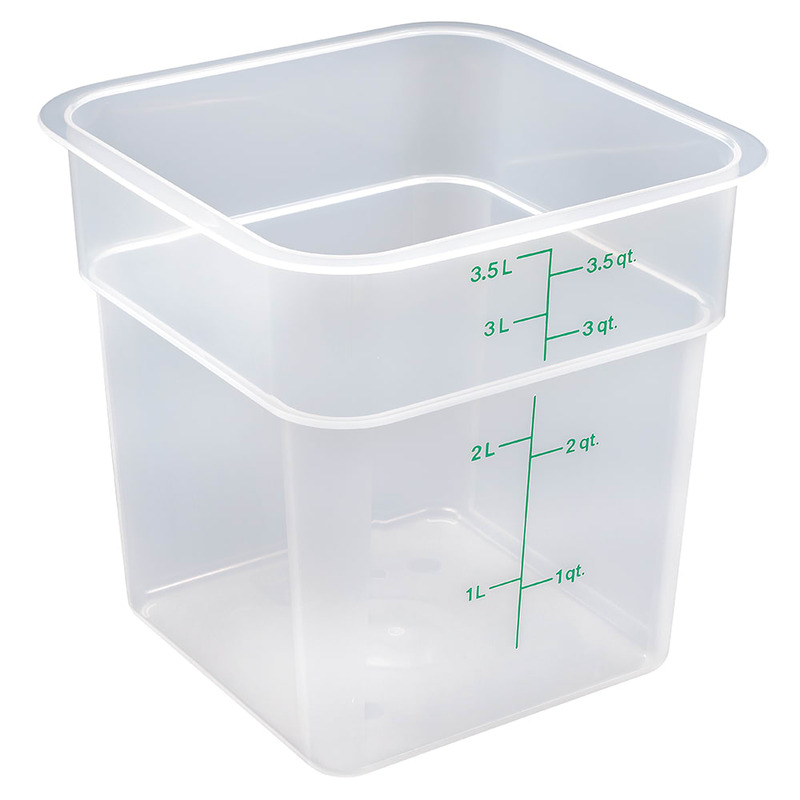 This square container is stackable with other containers to save storage space. 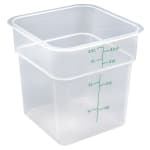 The Cambro 4SFSPP190 CamSquare food container has a 4-quart capacity. It withstands temperatures from -40 to 160 degrees Fahrenheit.